This year again, Ferencvárosi Torna Club took part in the #Morethanfootball Action Weeks. The #Morethanfootball Action Weeks aim at presenting the community and social responsibility work of the European football family. 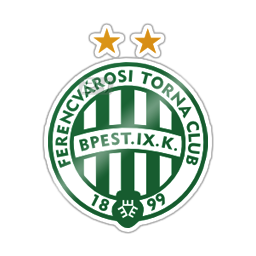 Ferencvárosi Torna Club is known as the most popular football club in Hungary. Being aware of its responsibility, in recent years, Fradi increased their commitment towards the community and initiated many programmes that engage with the younger generation and the club supporters. Among others, the club is successfully delivering the Fradi Suli programme, awarding the Fradi Fair Play Award and participating in initiatives as the #Morethanfootball Action Weeks. This years, Ferencváros participated along 83 other European football organisations as Inter Campus, Galatasary and Juventus. The campaign was initiated by the European Football for Development Network, the ECA and the UEFA Foundation for Children. As one of the activities during the #Morethanfootball Action Weeks, Ferencvaros TC showcased their support for the campaign on their LED- boards during home games of the first team.